When Heinz tweeted about Heinz Creme Egg Mayo on 1 April, most people thought it was an April Fool’s joke. A follow-up tweet on 2 April made it clear that they weren’t playing and that this bonkers product was actually a thing. 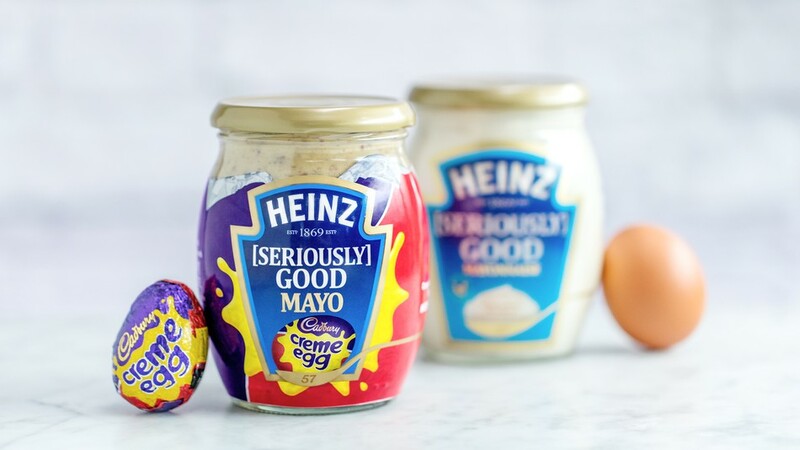 “We weren’t kidding, Heinz Creme Egg Mayo is a thing!” their jubilant tweet read. That said, while it’s most definitely a real thing, apparently, it’s not going to be a standard. So sad, too bad. They explained that the new weirded out mayo will only be variable in the UK until stocks last and won’t be popping up elsewhere. The good folk of Twitter had some big feelings about this combo and they were mostly confused. “Heinz, what is this? Why is this!? What do I even do with it? Is it for sandwiches? Halp!” someone else quizzed. “I am curled up in the fetal position waiting for you to take this back,” another mayo fan wrote. “If Satan was a condiment. This is it,” someone accurately summed-up. Even the Creme Egg lovers were not on side. “I love them so much, but couldn’t try this,” one distressed Easter fan wrote.